On Thursday, May 17, the opening party for the 2018 Hangout Music Festival was forced to evacuate due to unsafe weather conditions. The area experienced dangerous lightning, heavy rain, and strong winds which when combined create the arch nemesis for many outdoor mass gatherings. However, one does not merely see weather coming and call for an evacuation. Organizers of this festival plan for months, in regards to weather threats and action plans. 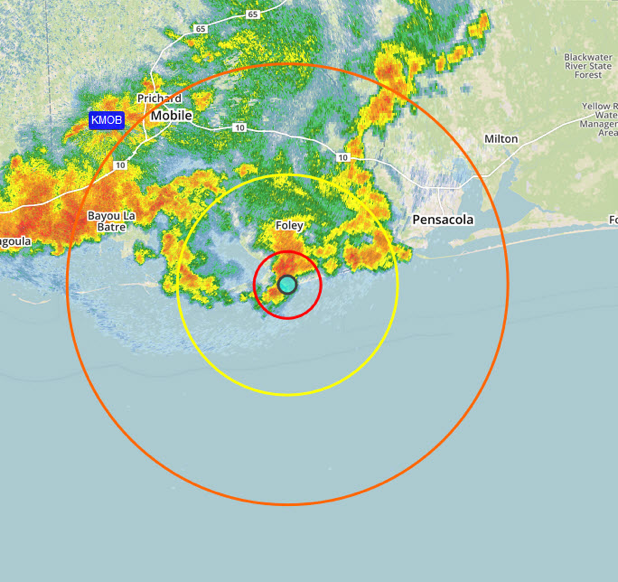 With a plan and communication structure in place, backed by a weather provider focused on your event location and team, you can mitigate threatening weather in a way that promotes safety for all while seeing operational success. 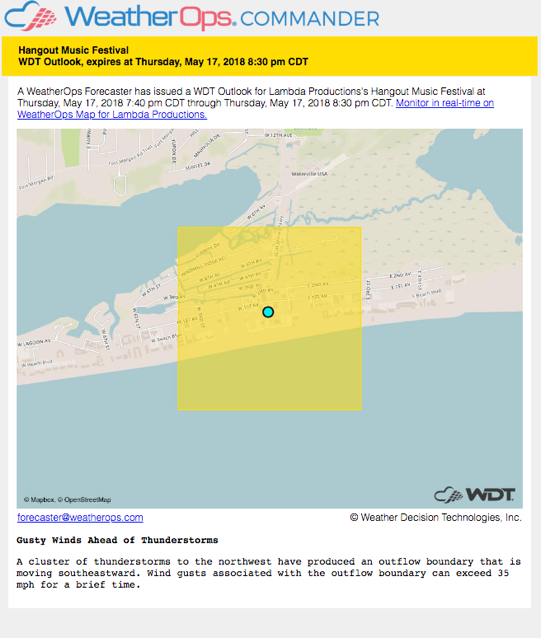 6:00 am - The WeatherOps morning forecast predicted thunderstorms for the site location with an elevated (yellow) risk for any storms that impacted the site through the day and into the evening. 1:25 pm - WeatherOps Forecasters issued a Hazardous Thunderstorm Watch for the site. 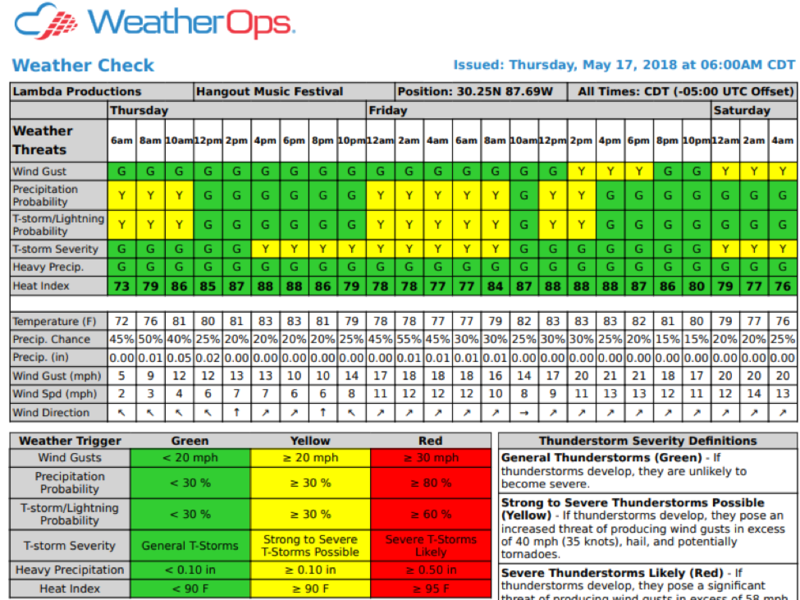 7:40 pm - As effects from a nearby cluster of storms appeared imminent for the festival site, WeatherOps Forecasters released the outlook below in anticipation of expected increased winds. 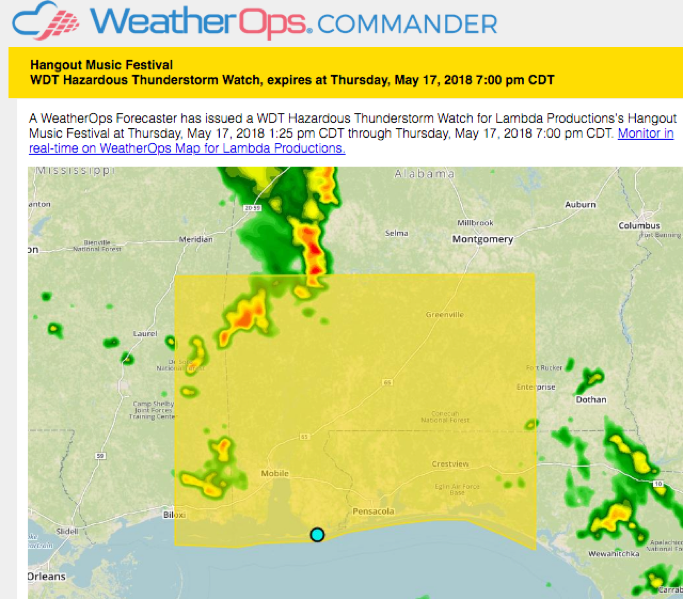 In addition to these updates, festival organizers were in regular communication with WeatherOps throughout the day to stay on top of what weather was expected and what time impact was most likely. 8:18 pm - A successful evacuation began with communication to the attendees through various channels including social media. With reliable weather information and communication, the site was safely evacuated before it sustained a direct hit from the storms. Having reliable weather information is not enough. Established weather plans and a predetermined process results in confident decision-making and smooth event interruptions. The Hangout Music Festival demonstrated their commitment to the audience and all involved. This is how it is done!